.The Florida Library Association 2019 scholarship application period is now closed. Recipients are now being considered and will be notified of their status soon. 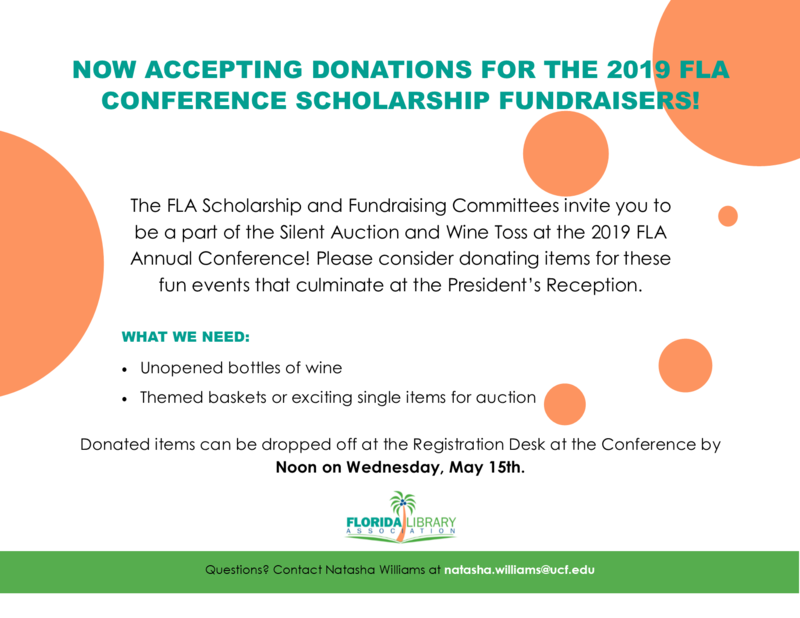 Winners will receive their scholarships at our 2019 FLA Annual Conference. The 2020 scholarship application window will open in the Fall of 2019. *To qualify for a Minority Scholarship, the candidate must belong to one of the following ethnic groups: Black/African American, Hispanic/Latino, Asian/Pacific Islander, or American Indian/Alaska Native. Applicants may apply for more than one scholarship, if qualified. Be an FLA member in good standing for 2019. Scholarship winners may be required to serve on an FLA committee during the year after graduation.